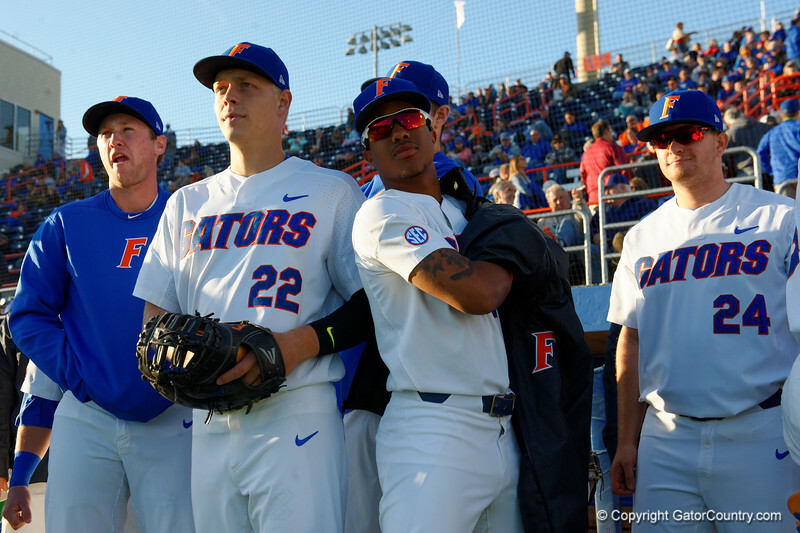 University of Florida Gators catcher JJ Schwarz and University of Florida Gators pitcher Andrew Baker prepare to take the field as the Gators host and defeat the Florida State Seminoles 1-0 at McKethan Stadium. March 14th, 2017. Gator Country photo by David Bowie.